Office staff available Monday - Friday from 9:00am to 2:00pm. We are a Classical NY Style Pilates studio in Santa Monica. Our Classically certified instructors tailor the session to the client's needs. Private sessions, duets and small group classes available. 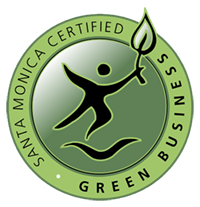 3122 Santa Monica Blvd, #102, Santa Monica, CA 90404 We are located on the south side of the street on Santa Monica Blvd between Berkeley St and Franklin St (Near Busby's).